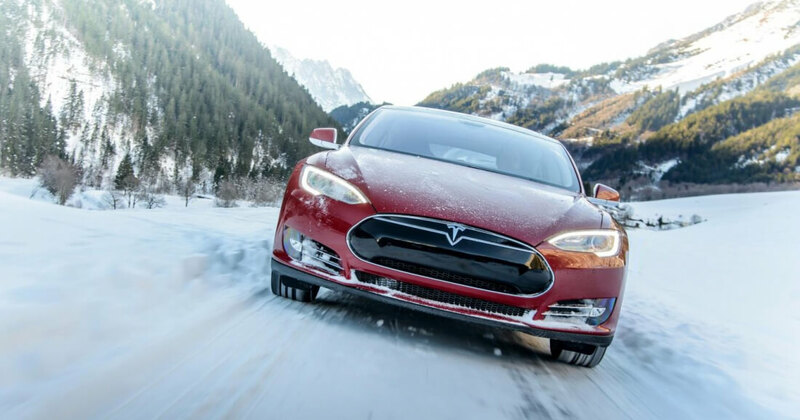 It seems that Tesla is getting into the Christmas spirit if a recent vehicle software update is anything to go by. The update in question adds a new Easter egg to Tesla's growing joke repertoire, "Santa Mode." Santa Mode makes numerous tweaks to your Tesla's "infotainment" screen, all of which can be activated by speaking the "Ho Ho Ho" voice command or accessing your car's Easter eggs menu and tapping the reindeer icon. When activated, Santa Mode will play "Run Rudolph Run" as your HUD begins to change. Santa Mode transforms your on-screen Tesla into Santa's sleigh while changing other vehicles into festive reindeers. Snow will also begin to fall and -- if you engage your car's Autopilot functionality -- the on-screen road will turn icy. In addition to the changes mentioned above, Santa Mode will also trigger a brief Christmas bell jingle whenever you activate your car's turn signals. Finally, as promised by Elon Musk, there is indeed an "Easter egg inside the Easter egg." By simply saying "Ho Ho Ho Not Funny" instead of the default Santa Mode voice trigger, Tesla owners can get the car to play "Grandma Got Run Over By a Reindeer" instead of "Run Rudolph Run."